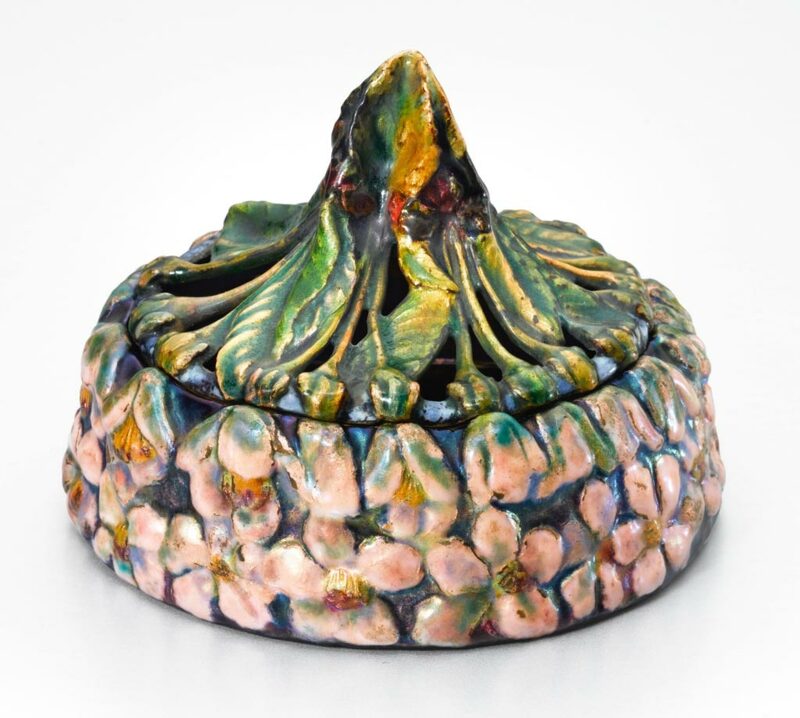 Christie’s New York held its Design sale on June 7, 2017, a day after Sotheby’s similar sales. Sales totaled $7,162,375, for a very impressive average of $87,346 for the 82 sold lots. 20 lots failed to sell. 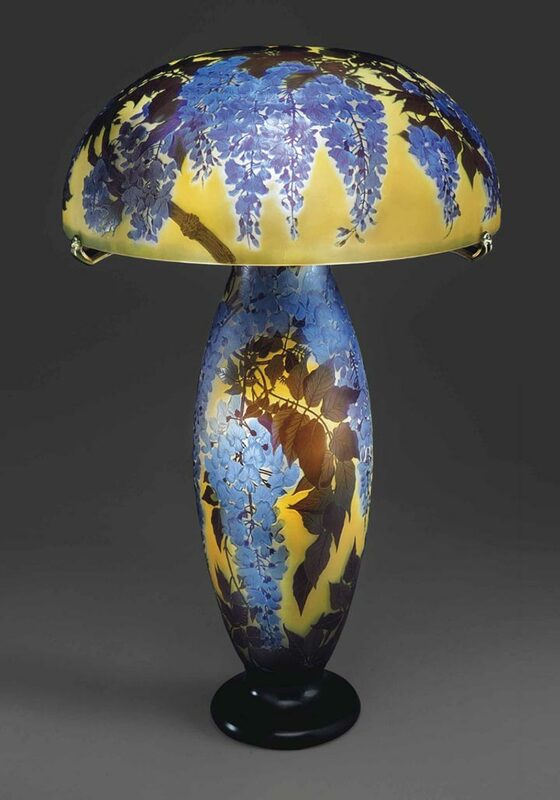 The sale began with the Joel Schur collection of Emile Gallé glass, including superb examples of vases and lamps from the 1920s. 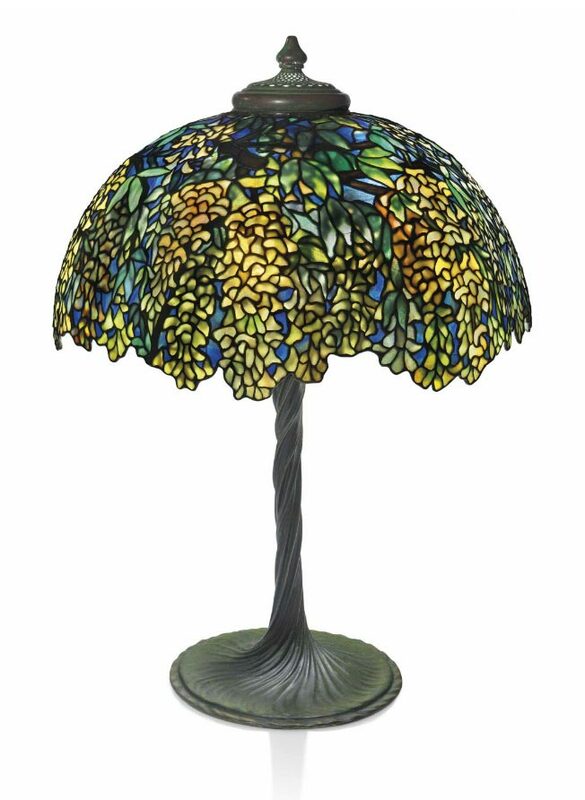 Lot #16, a huge, 30″ tall, beautiful Gallé Wisteria table lamp led the group with a price of $331,500, including buyer’s premium, above its pre-sale high estimate of $250,000. Lot #s 12 and 13, identical Gallé blownout Rhododendron table lamps, tied for second and third places in the Joel Schur group. 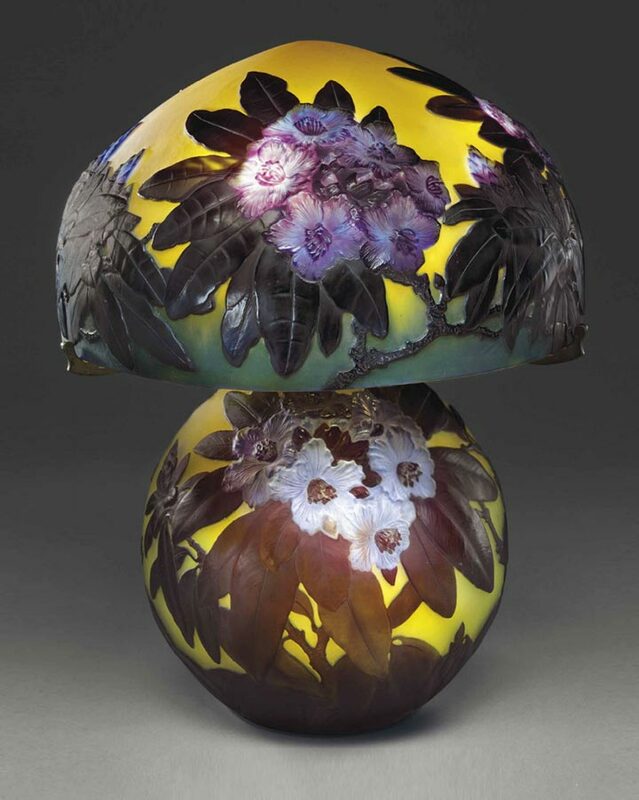 They each sold for $295,500, including buyer’s premium, well above their high estimates of $180,000. 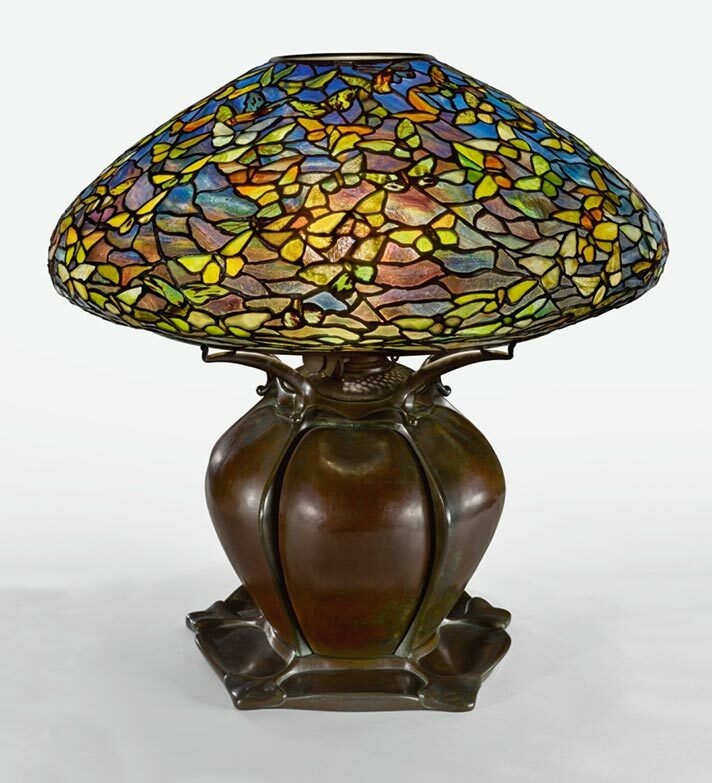 The top lot of the Tiffany lamp section of the sale was #24, a full-sized Laburnum table lamp on a tree-trunk base. It exceeded its high estimate of $200,000, realizing $259,500, including buyer’s premium. I won’t concern myself with the more modern items in the sale, but suffice it to say they did very well including $631,500 for a carpet and $907,500 for a bronze. See for yourself by clicking here for the complete results of the sale. 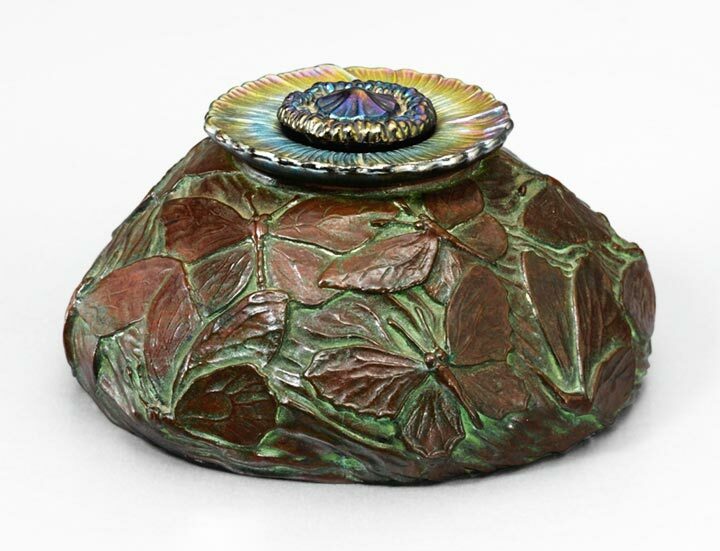 Heritage Auctions held a 20th Century Design sale on May 25, 2017. It wasn’t an important sale, but there were a few special items included. I’ll only cover the decorative arts. 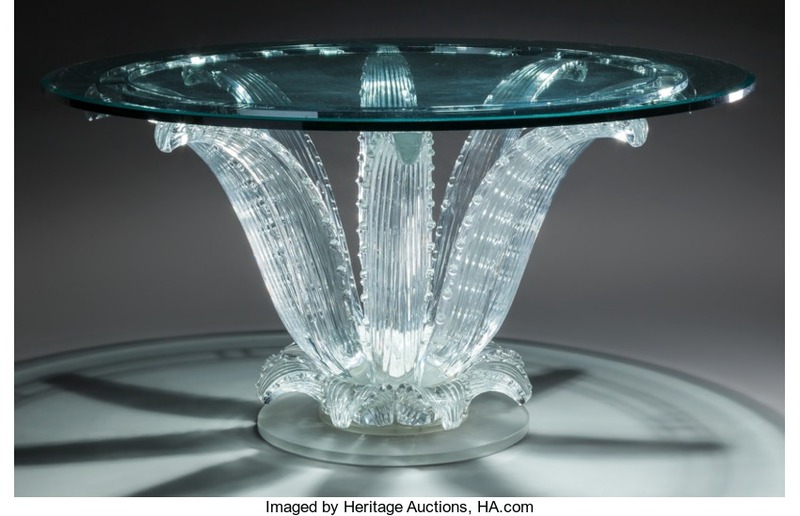 A Lalique Cactus table, designed in 1951, was the top glass lot of the sale. It sold within it’s pre-sale estimate of $20,000 – $30,000, realizing $33,750, including buyer’s premium. 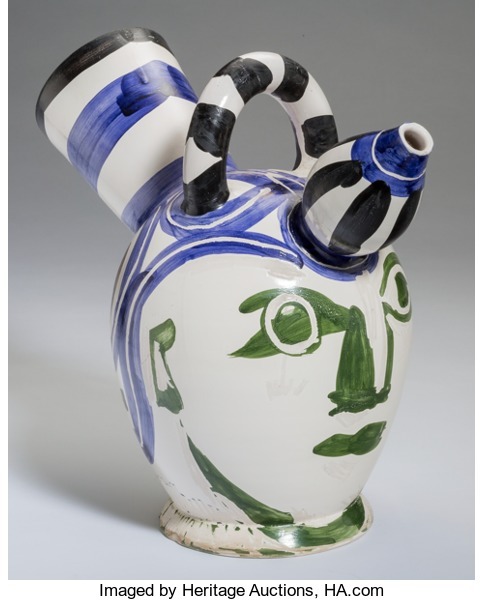 The top ceramic lot of the sale was #63258, a 13″ Pablo Picasso pitcher from 1952. It sold for $37,500, including buyer’s premium — double its high estimate of $15,000. I don’t know much about Picasso pottery, but I do know there was a very good market for it at one time, especially in Paris. 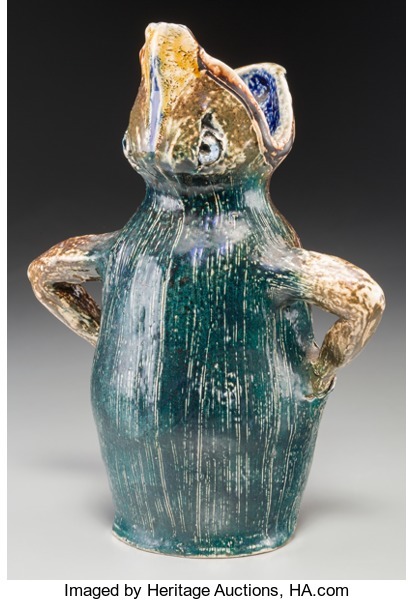 A really goofy Martin Brothers handled jug/vase sold well, bringing $15,000, against a pre-sale estimate of $6,000 – $8,000. I love Martin Brothers stoneware, but there was no way I was going to buy this one. I really didn’t like it. For the complete results of the sale, click here. You’ll have to sign in (free) to view the prices.